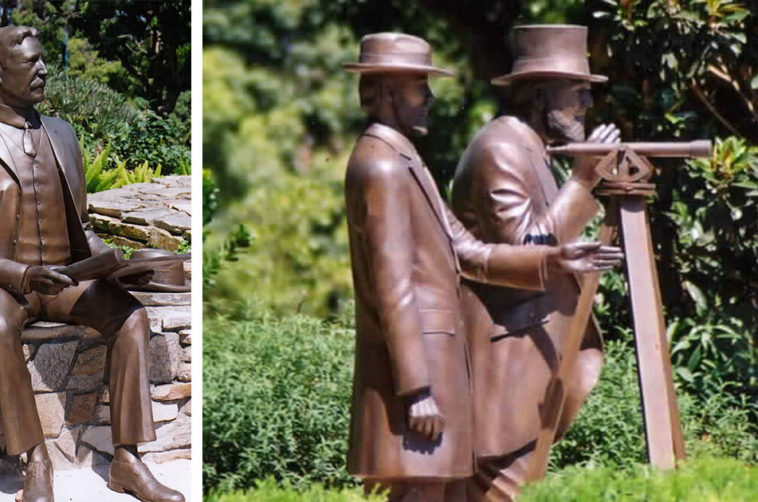 Founders Plaza pays tribute to the three visionaries who dreamed of a city park that would provide enjoyment and recreation for its citizens. 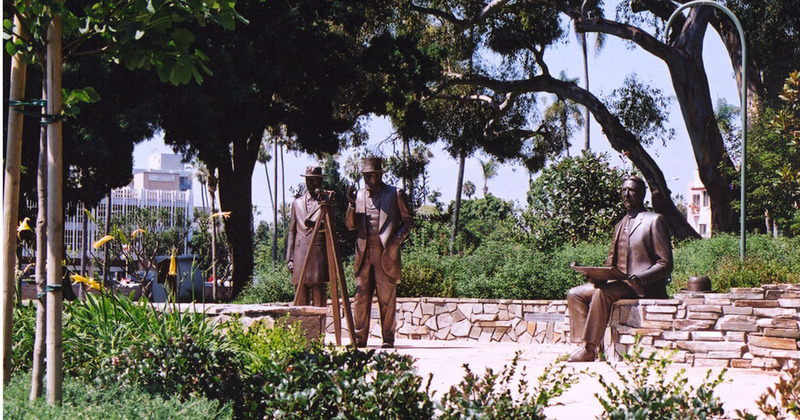 Alonzo Horton, Ephraim Morse and George W. Marston were instrumental in making this dream a reality by initiating the founding of Balboa Park. In 1868, Alonzo Horton and Ephraim Morse were assigned the responsibility of identifying lots for a suitable public park. They identified nine vacant pueblo lots (1,400 acres) on the outskirts of town to be established for the park. This was a remarkable action, since only 2,300 people lived in San Diego at the time. George Marston was appointed to the Park Improvement Committee in 1902, along with Kate Sessions. He personally funded the park design and hired the former superintendent of Central Park, Samuel Parsons, Jr. This action allowed the funds raised by the public to be used for park improvements and provided the impetus needed to make the park a reality. 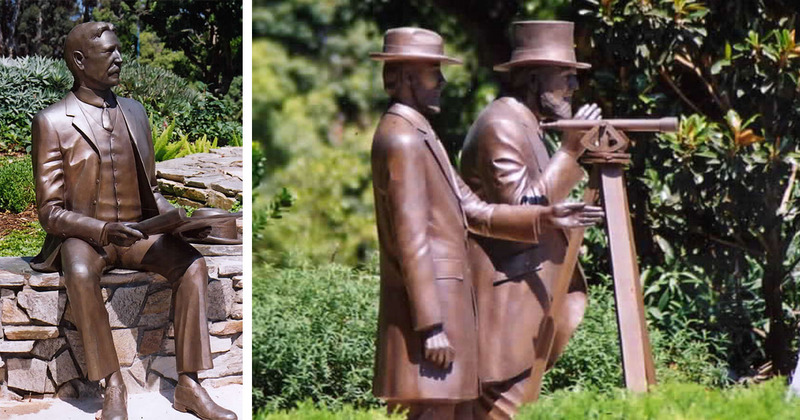 Constructed in 2001, Founders Plaza was a gift of the James Dayton North Family. Sited at the northwest corner of Balboa Drive and El Prado, Founders Plaza was designed by KTUA and features a quiet, reflective lily pond, seat walls of natural materials, and interpretive graphics. The bronze sculptures were the creative work of local artist Ruth Hayward.